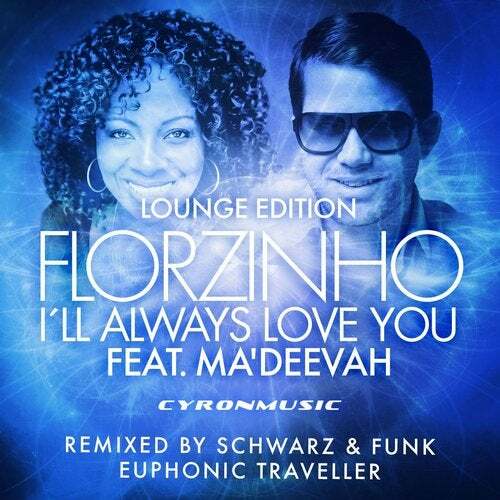 After the release of the original collaboration with vocal diva Debbi Blackwell-Cook aka Ma'Deevah, i's now time to present the beautiful lounge edition of Florzinho's stunning manifesto "I'll Always Love You". The track has been remixed by lounge heroes Schwarz & Funk and as well by our label artist Euphonic Traveller. Both have found their unique way to play with the funky playback & Ma'Deevah's powerful vocals and gave the song a totally new paint & direction. While Schwarz & Funk came up with a smooth and grooving bossa nova version, Euphonic Traveller obviously had "Earth Wind & Fire" in his mind as he added some really cool horns and live drums.